1) Barnes, H. J., Fletcher, O. J. and Abdul-Aziz, T. 2008. Reproductive System. pp.348-351. In: Avian Histopathology, 3rd ed. (Fletcher, O. J. ed. ), American Association of Avian Pathologists, Florida. 2) Reece, R. L. 2008. Other Tumors of Unknown Etiology. pp.593-616. In: Diseases of Poultry, 12th Ed. (Saif, Y. M. ed. ), Blackwell, Iowa. 3) Gorham, S. L. and Ottinger, M. A. 1986. 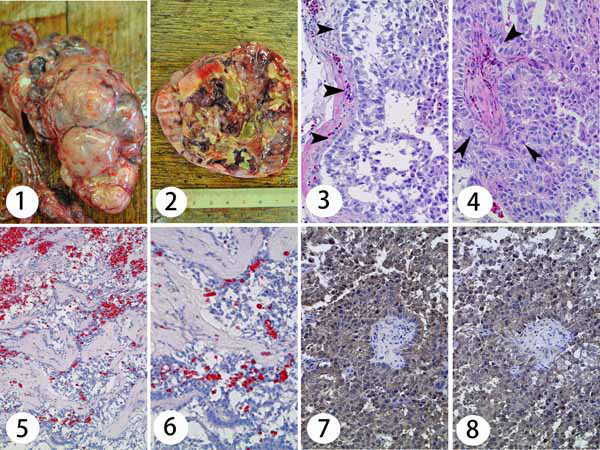 Sertoli cell tumors in Japanese quail. Avian Dis. 30: 337-339.